Now you can also send WhatsApp Birthday Messages to your customers and contacts! This module allows you and your customers to configure whatsapp birthday messages for phonebook contacts. It will also allow admins and resellers to set whatsapp birthday messages to be sent to customers on their birthdays. 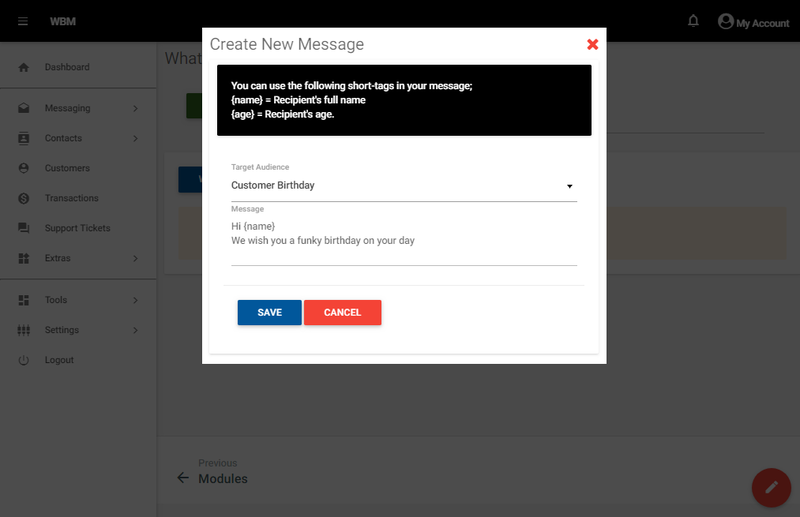 The module integrates into sendroid ultimate seamlessly and works just like the inbult birthday SMS features. This add-on is compatible with Sendroid Ultimate 1.9.0 and above. 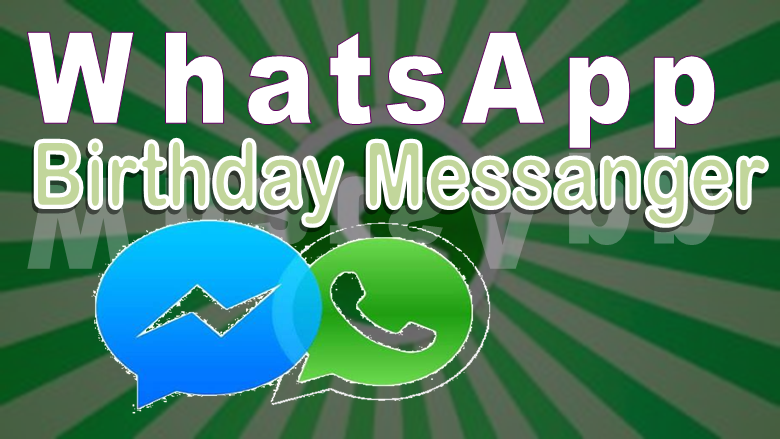 Once enabled, this add-on will be accessible from Extras -> WhatsApp Birthday Messanger.